Friendly and flirtatious, they’re easily be bored. They’re a fun and interesting social butterfly that can be restless, so need a broad range of contacts to give them the stimulation they require. Information and ideas are important as these are people that like to learn – about anything and everything. Often found questioning, they are the perpetual students of life that also like to teach others, or communicate an important message through writing (even songwriting). They also like to connect people and concepts. Gemini is a mutable air sign so these people like to move flexibly in a lighthearted, playful style. They can be hard to pin down, a little detached but are ready conversationalists that adapts to any social group. As one would expect, the twins can do two things at once. An expert multi-tasker they might juggle two jobs, two names (identities) or numbers! Gemini Rising Appearance – Totally Tattooed! Notice that today’s most tattooed stars are Gemini rising? Think Pisces Rihanna, Aries stars Kristin Stewart and Lady Gaga, Scorpio Kelly Osbourne and the late Virgo songstress Amy Winehouse. All these famous faces use ink as an expression of their Star Sign Style! Why? Messenger Mercury rules communication in any form, and the insuppressable nature of Gemini is to communicate any way they can. Usually people with lots of tattoos have Mercury strong in their chart – for these stars he literally rules over it! This is an experimental sign, that will often use dress and fashion style to further deliver a message about who they are and what they’re about. 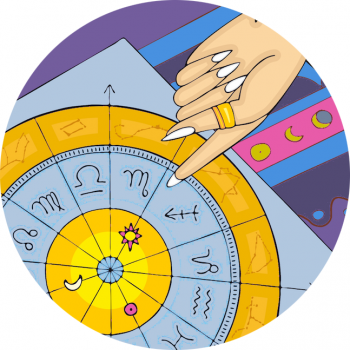 Ask The Astrologer – What Is A Rising Sign? And Why Does It Count? How do I work out my Birth Chart?